The devastating fires that roared through California have now dissipated due to the recent rain. While the danger of wildfires to residents living within the range of the fire is evident, those in surrounding areas should be aware of how the smoke from these fires can also affect your health. Read on to learn how wildfires can affect your health and what safety measures you can follow to lower the exposure for you and your family. What Health Issues Can Wildfire Smoke Cause? 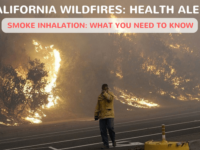 Who Is Especially Vulnerable to Wildfire Smoke Inhalation? People who are suffering from lung diseases such as asthma, bronchitis. People with respiratory infections like pneumonia, colds, or flu. People with prevailing heart or circulatory disorders, such as coronary artery disease. People with a previous history of stroke or heart attack. Children below 18 because their lungs and airways are underdeveloped. Older adults, above 65 with undiagnosed heart or lung diseases. Pregnant women and their developing fetuses. People who smoke as they have reduced lung function. People who have diabetes as they possess the risk of undetected cardiovascular disease. Stay updated with the latest reports about the local air quality and pay attention to news or health warnings for your area. Avoid doing any physical activity outdoors if smoke is prevalent in the air. Follow your doctor’s advice on taking medicines and other health-related protocols. Get in touch with your doctor if your symptoms worsen. Remain indoors and switch on the air conditioner to maintain cleaner indoor air. Use only high-efficiency particulate air (HEPA) filter for appliances like AC and vacuum cleaners to decrease indoor air pollution. Refrain from smoking and using food boilers, candles, incense, gas stoves, or fireplaces that can add to the indoor air pollution. 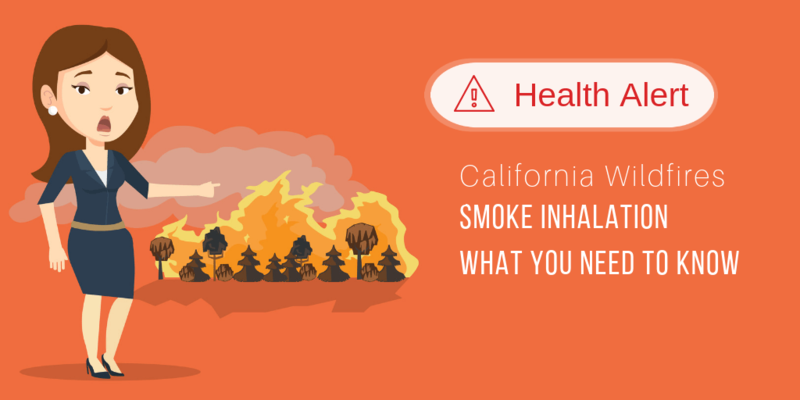 More than a nuisance, smoke from California wildfires is a severe health hazard as it has an immediate and adverse impact on both the environment and your health. Contact your healthcare provider if you experience any severe symptoms arising out of wildfire smoke inhalation.